Party City has traditionally been a reliable, if generally unremarkable source of fairly typical Halloween decor. Just good enough to receive a review page every season or so, but seldom offering anything too cutting-edge or surprising...until now. 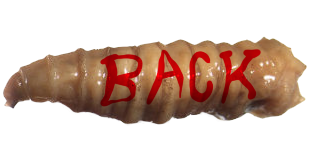 Already available for preview on their official website, the items set to flood Party City this year include a host of pretty fascinating animatronic monsters, covering a wide range of popular monster tropes and a couple of truly remarkable innovations. ...But before we get to the animatronics, check out this cool as hell idea for string lights! The only downside to these is how they come in only skull and hand imagery, but as a nice bonus, the preview photo looks like it's smiling at us. 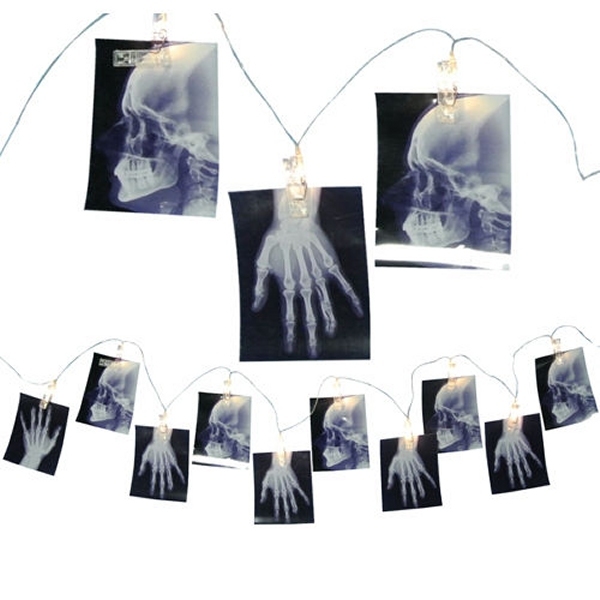 Hi, X-Ray String Lights! 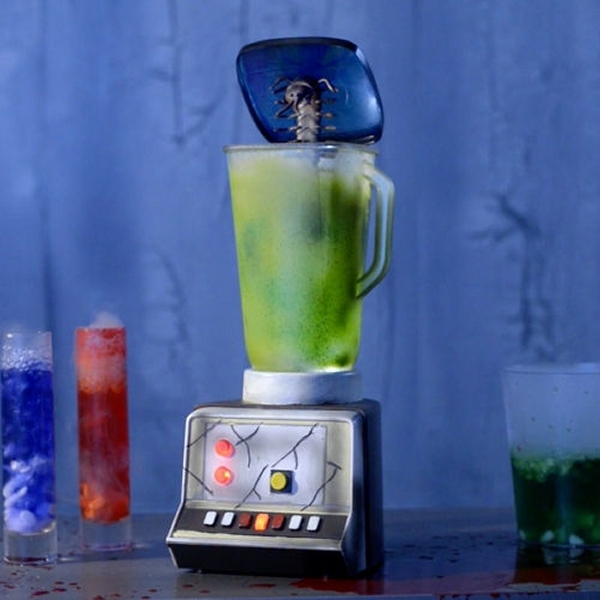 So for our first animatronic prop, we have this lovely little cartoon blender supposedly in the process of cooking up an arthropod smoothie, with fake green goo and an absurd little black centipede that springs forth like a jack-in-the-box to startle unsuspecting guests! 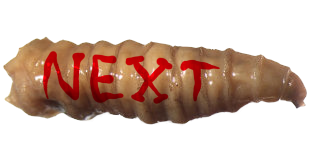 The more I think about this, the more creative and fun it feels for a Halloween prop; something you might have seen as a throwaway gag in some cartoon haunted house, finally given its spot in the holiday limelight. It's amazing what you can get out of just a couple materials, sometimes. 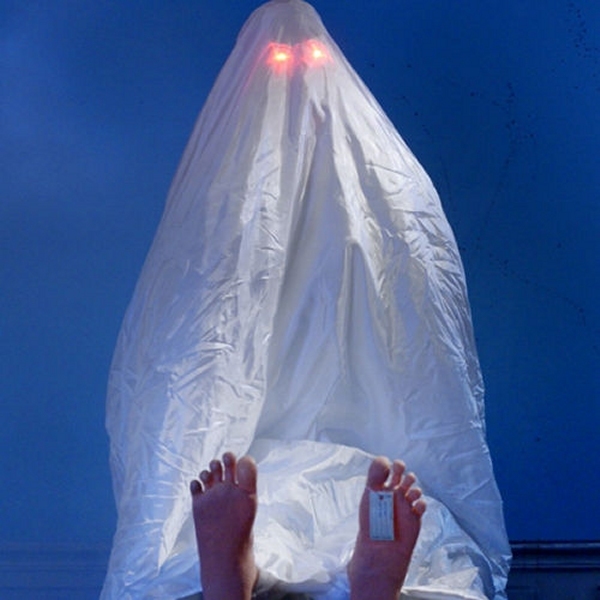 A simple sheet and two plastic legs is all you need to make a convincing "dead body," and a couple of red lights easily turn it into an undead revenant. This is SUCH an easy concept...why is this the first time I'm seeing it?! 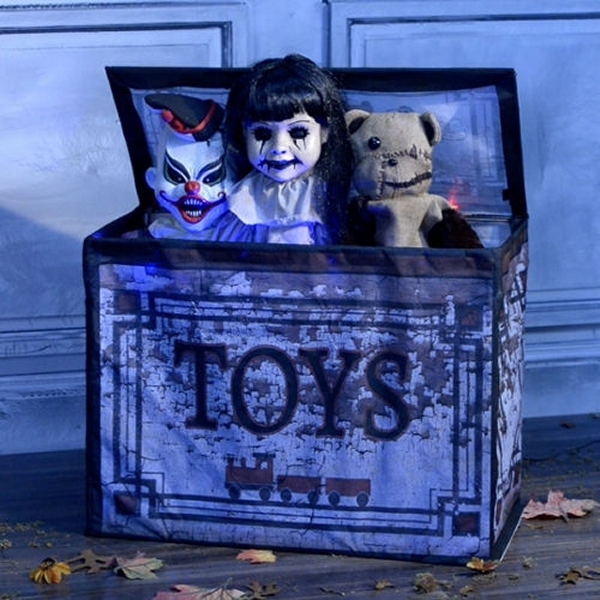 It features the full range of haunted toy characters; a cheesy diabolical clown, a cracked gothic baby doll, and a teddy bear who doesn't need any additional fangs or claws to be the most unsettling of the bunch. A video isn't really necessary for these girls, since all they really do is light up, but what a beautifully simple and subtle concept! 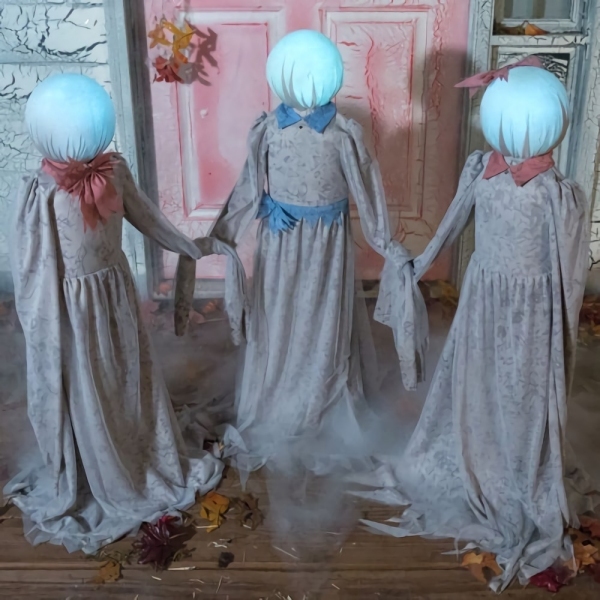 No scary skull faces or gore necessary, here; just three mysterious figures in faded old dresses with featureless, luminous orbs for heads. As far as Halloween decorations go, these "Lost Souls" offer a uniquely dreamlike, tasteful visual that almost passes for something wholesome. Something almost not necessarily frightening at all...which, of course, is perhaps the very most frightening thing about these ambiguous entities. Not so subtle is this zombie dog protruding from the frame of a fake "doggy door," or what the U.K. calls a "cat flap." It's another simple, straightforward prop idea that seems like it should be obvious in retrospect, and sometimes, it takes a special sort of imagination to realize the obvious, so whoever's coming up with Party City's animated props this year deserves some "major props" of their own. See?? Another elegantly simple hit! 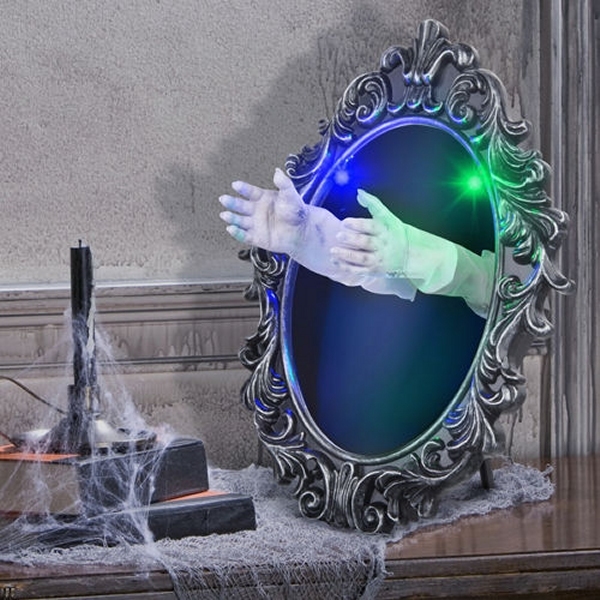 Just a fake mirror, with a pair of white-gloved hands reaching out from some other dimension, animated just shakily enough to be unnerving. 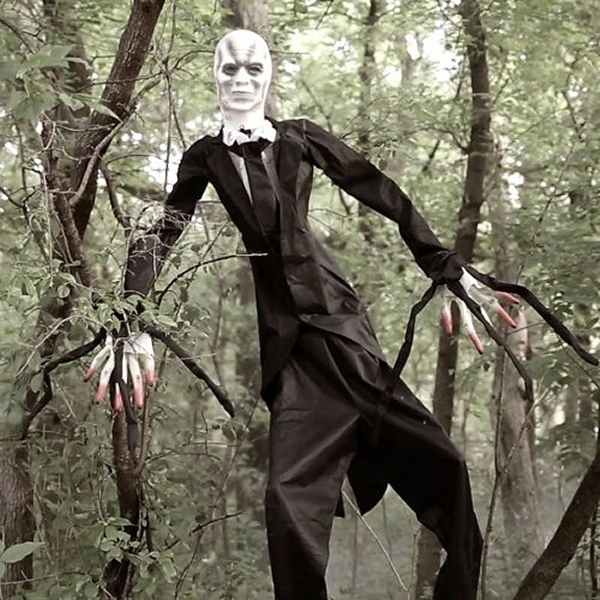 Slenderman was long ago cemented as a permanent staple of modern monsterdom, and even had a cheesy horror movie in theaters debut this very season. Technically copyrighted by his original creator, however, knock-offs have been forced to opt for alternative names and slighly less faceless designs. He really doesn't work as well with a complete face, in my opinion, but nor am I all that impressed by smoothly faceless humanoids anymore. You need a middle ground! ONE facial feature! Meanwhile, in the gaming end of horror, we all know how Konami pulled the plug on Silent Hill some time ago, but it's obvious this 2018 prop was meant to evoke similarly styled nurse monsters, even if she obviously has what fully qualifies as a face. It's a face with a sphincter of fangs and three eyes in a single socket, but a face nonetheless! 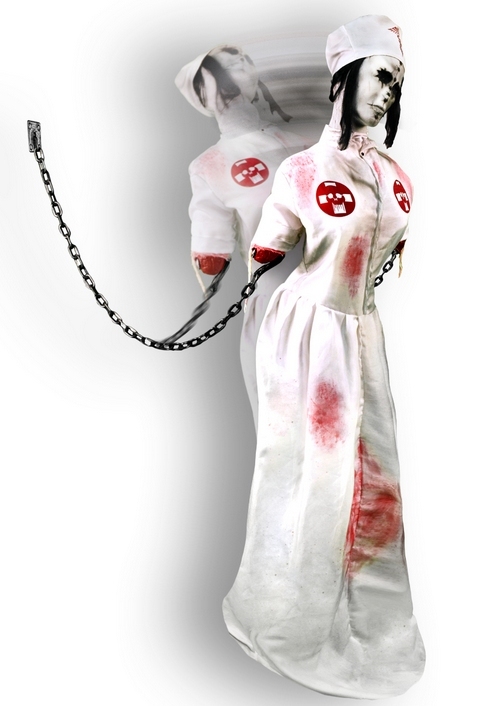 This is also the second time a life-size Halloween prop aimed to rip off the Silent Hill style Nurse Monster, since 2013's "Convulsing Nurse" prop. 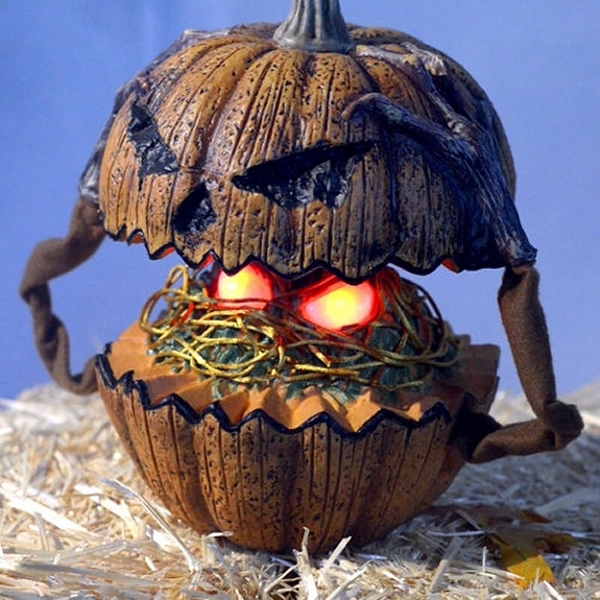 We've seen a bug in a blender, creepypasta knockoffs and more, but my single favorite item at Party City in 2018 is this simple, little animated pumpkin. An animated pumpkin that rips itself open to reveal what Party City's website describes as a "green and yellow creature with red demon eyes," hardly descriptive enough of what seems to be an amorphous mass of green mush and wormlike yellow filaments. Is it supposed to look like sentient pumpkin innards? It doesn't really look like anything, which ends up looking SO very much cooler than if it had even one more facial feature. They could have gone with a skull face, a fanged goblin or a zombie head, and I believe most manufacturers almost surely would have...but instead, we get an alien sludge-mutant in a Jack O'Lantern shell, and that may be one of the finest, most original pumpkin-creature concepts I have seen in years of living.